Happy was El Paso Lodge No. 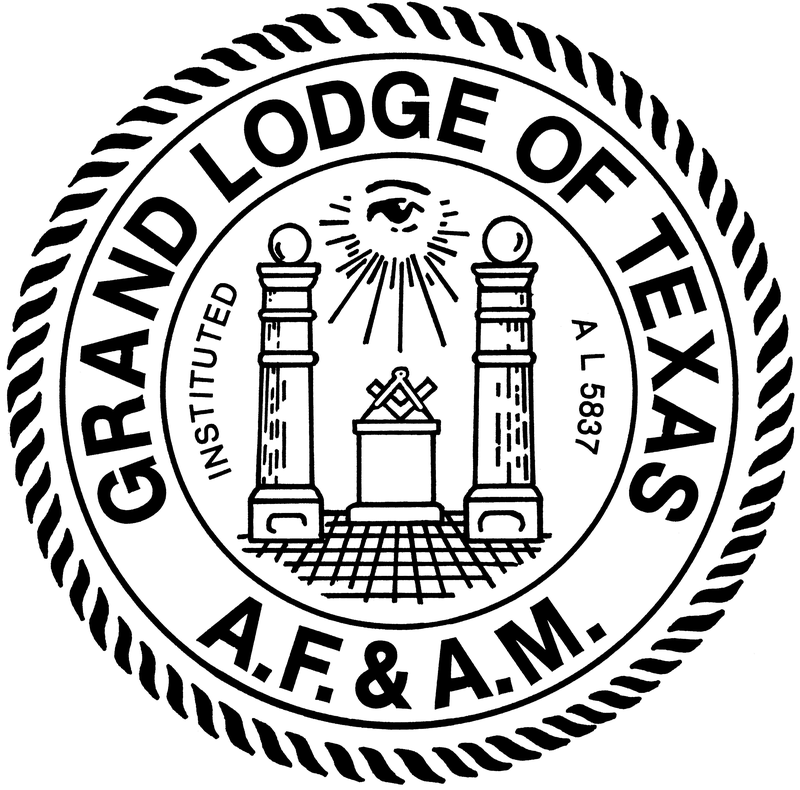 130, Ancient Free and Accepted Masons, on December 2nd, 1937, when its illustrious Brother, John Temple Rice, was elected Grand Master of the Most Worshipful Grand Lodge of Texas. Thrice happy was El Paso Lodge No. 130, and the rank and file of Texas Masons on December 7th, 1938, when Most Worshipful John Temple Rice, as Grand Master, let fall the gavel that called to labor the Most Worshipful Grand Lodge of Texas, in its 103rd Grand Communication, and reported a year of service at least equal to that of any of his illustrious predecessors in that high office, and announced to the Craft the good news that there had been a net increase in the membership of the subordinate Lodges in this Grand jurisdiction during the year of about 1500, and a spirit of Masonry prevailing throughout our vast domain that foretokens greater enthusiasm and interest for years to come. For more than twenty-seven years, John Temple Rice has been a true Craftsman of El Paso Lodge No. 130, having been initiated therein on February 10th, 1911 ; passed March 17th, 1911, and raised to the Sublime Degree of Master Mason on April 14th, 1911, and throughout all those years, our esteemed Brother and leader for 1938 has brought up good work, square work, just such work as is needed for the completion of the Temple, serving it as its Worshipful Master in 1915-1916. 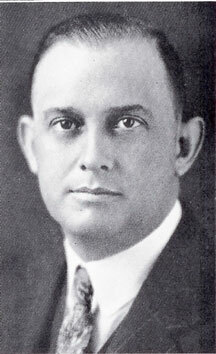 Born on December 9th, 1888, at Danville, Virginia, where his early years were spent, Grand Master moved with his parents to Greensboro, North Carolina, and in 1904 removed to El Paso, Texas, where he has since continuously resided, and for whose civic advancement he has continually labored. Believing that the good Mason is ever true to his Country, he heeded his country’s call to service during the World War, and on June 22nd, 1917, enlisted in Texas Field Hospital No. 2, Texas National Guard, which organization subsequently changed to Field Hospital No. 141, 111th Sanitary Train, 36th Division, training at Camp Bowie, Texas, and served with the American Expeditionary Forces in France from July 18th, 1918, to June 3rd, 1919, being a Sergeant, First Class, Medical Department. As such, he engaged in the Meuse-Argonne Offensive (Champagne) France, and contributed his part for the accomplishment of his country’s success in that gigantic struggle. Interrupted only by his army service, he ministered to suffering humanity in the drug business from the time of the completion of his education until 1927, on June 24th, of which year he was installed as Secretary of El Paso Lodge No. 130, whereupon he retired from business, and since which time he has devoted his entire time to Masonic endeavors, and his life has been one continued round of Masonic labor and achievement. 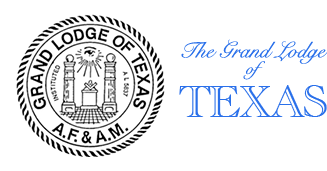 For twenty-five years Brother Rice has held a certificate from the Committee on Work of the Grand Lodge of Texas, and honored is he who is brought to Light under his instruction. In 1923-1924-1925 and 1926. he served as District Deputy Grand Master of the 60th Masonic District. He served for years on various Committees of Grand Lodge, including those on Credentials; Petitions; Foreign Correspondence; Grievances and Appeals; and Lodges Under Dispensation. Fitting indeed was it for one who so qualified himself through much service to be elected Grand Junior Warden of the Grand Lodge of Texas in 1934, and to serve through the line through successive years to the highest position and honor in Texas Masonry, that of Grand Master. He was the recipient of the Henry Price medal from the Grand Lodge of Massachusetts in 1916. 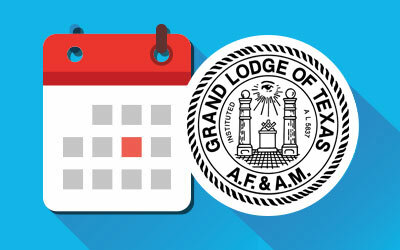 Not only has our Grand Master served the Grand Lodge of Texas and Ancient Craft Masonry, but he has also done much service in Capitular Masonry, having been exalted in El Paso Chapter No. 157, Royal Arch Masons, on October 17th, 1911, serving it as High Priest in 1917-1918. He was consecrated in the Order of High Priesthood on December 2nd, 1919; was Grand Visitor of the 28th District in 1919-1920 and 1921; was appointed Master of the Second Veil, Grand Royal Arch Chapter of Texas in 1926; has served as Grand Representative of the Grand Royal Arch Chapter of Oregon, near the Grand Royal Arch Chapter of Texas since 1926. He was admitted as a Select Master in El Paso Council No. 98, Royal and Select Masters on March 13th, 1913; served as Thrice Illustrious Master 1919-1920; and as Grand Visitor of the Grand Council, 28th District, in 1919-1920-1921. Of equal distinction and honor has been his service in Knight Templar Masonry. Having been knighted in El Paso Commandery No. 18, Knights Templar, on November 29, 1911, he served it as Prelate from 1913 to 1915, and from 1924 continuously to the present time. He was elected Commander of El Paso Commandery No. 18 in January, 1921. He was elected Grand Captain of the Guard, in the Grand Commandery, Knights Templar of Texas, in 1923, at the Dallas Conclave, and served through the line, except for the office of Grand Warder, becoming Grand Commander on April 16th, 1931. He is Representative of the Grand Commandrel Knights Templar of Virginia, near Grand Commandery Knights Templar of Texas. He was elected Grand Junior Warden of the Grand Encampment Knights Templar of the United States July 12th, 1934, and Grand Captain General of same in July, 1937. Brother Rice received the 32nd Degree of Ancient and Accepted Scottish Rite of Freemasonry, in El Paso Consistory No. 3 on April 23rd, 1915; was elected Knight Commander of the Court of Honor on October 15th, 1923; was elected to receive the 33rd Degree October 18th, 1927. He was coroneted Inspector General Honorary, 33rd Degree on January 30th, 19213, by Sovereign Grand Inspector General, Samuel Poyntz Cochran. He served as Venerable Master, Mount Franklin Lodge of Perfection No. 8 in 1923; as Wise Master, Oasis Chapter No. 5, Knights Rose Croix in 1929; as Master of Kadosh El Paso Consistory No. 3 in 1933; and as Commander of Rio Grande Council No. 3, Knights Kadosh in 1934. Brother Rice was dubbed Knight Companion, Red Cross of Constantine, April 13, 1928, in Saint Anthony Conclave No. 50, San Antonio. He was Potentate of El Maida Temple, A. A. O. N. M. S. in 1932. He was elected Grand Associate Worthy Patron of Texas Grand Chapter, Order of the Eastern Star in 1937, and Grand Patron in 1938. Brother Rice is a Communicant of the Church of Saint Clement, Episcopal, in El Paso, Texas, having served as Vestryman in that Church, and now serves it as Senior Warden. He retires from the office of Grand Master with the plaudits and the love of the Masons of Texas, but will continue in an Abundant Life of Living and Serving. -W. Marcus Weatherred, P. G. M.